← New York Times ‘The Truth’ Campaign Safeguards . . . Cooking? 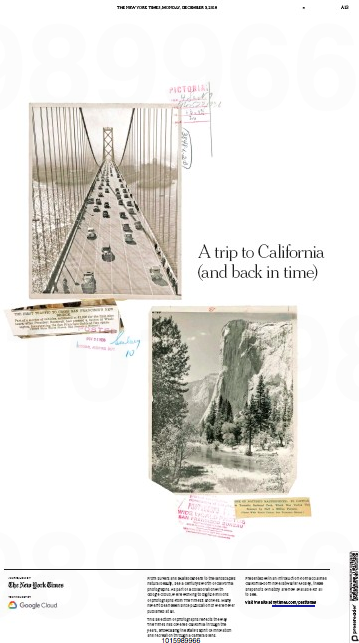 It started out routinely enough with this New York Times Past Tense California special section last month. 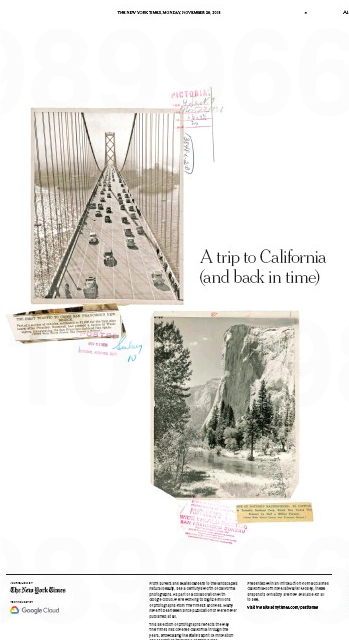 It’s a fascinating pictorial journey through the Times California archives, but then comes the money (screen)shot on page 2. 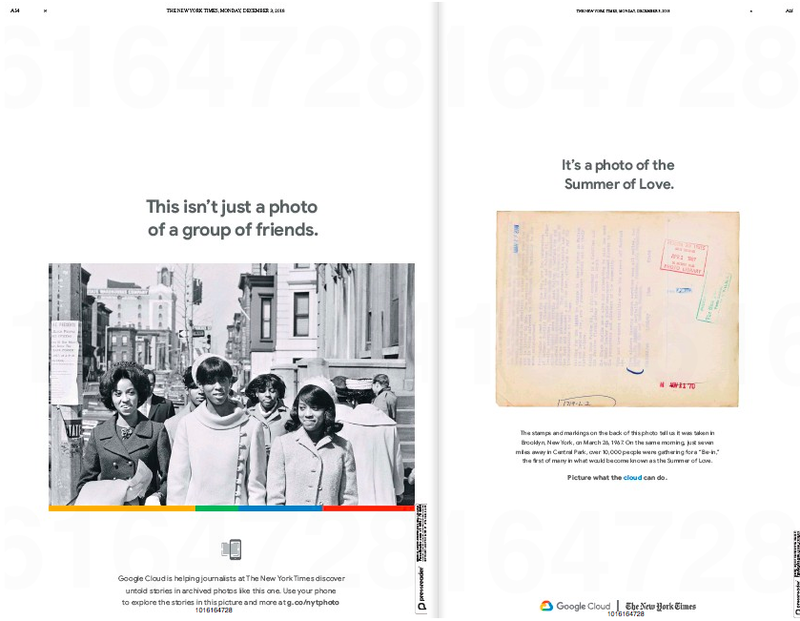 Okay, so what we have here is a collaboration between the Times and Google – not all that unusual in this day and newspaper age. What is unusual is how aggressively the Times is flogging the project. This triple-truck ad ran last Monday. And this triple-truck ran yesterday. Here’s the intro copy from the first ad page for those of you keeping score at home. 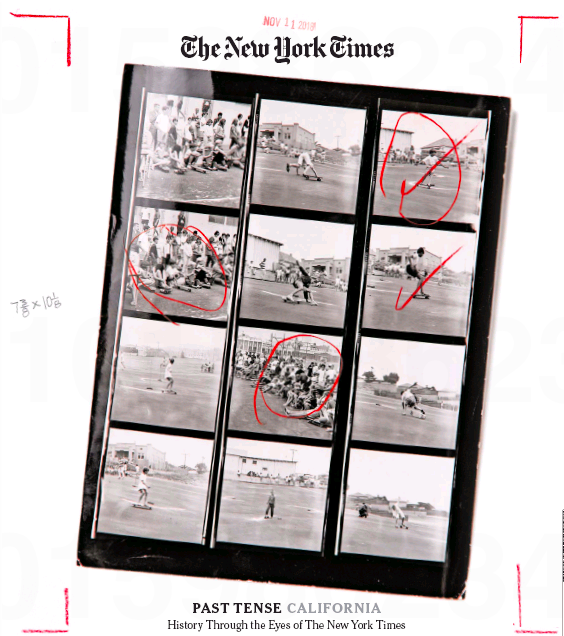 The introduction by Walter Mosely, the photographs with their annotated “metadata” on the back – it’s all extremely engrossing and very nicely done. But the round robin of editorial-advertising-aditorial is just the sort of State of the Cuisinart Marketing our kissin’ cousins at Sneak Adtack have been tracking for years. 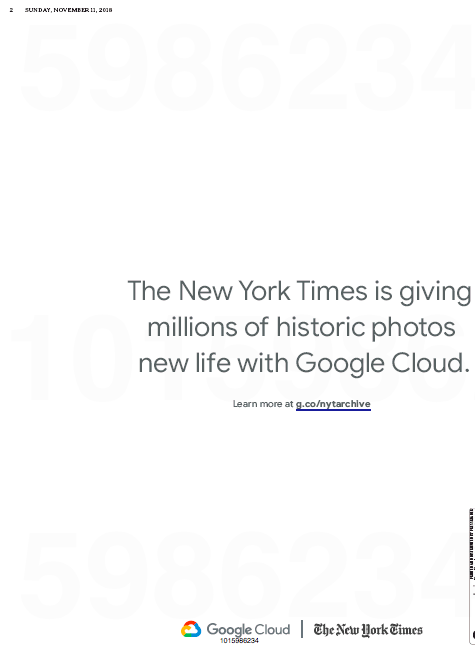 In the end, is there anything inherently compromising about the Times hooking up its Past Tense series with Google Cloud? Not really. But is Google’s nose under the tent? Sure looks that way. 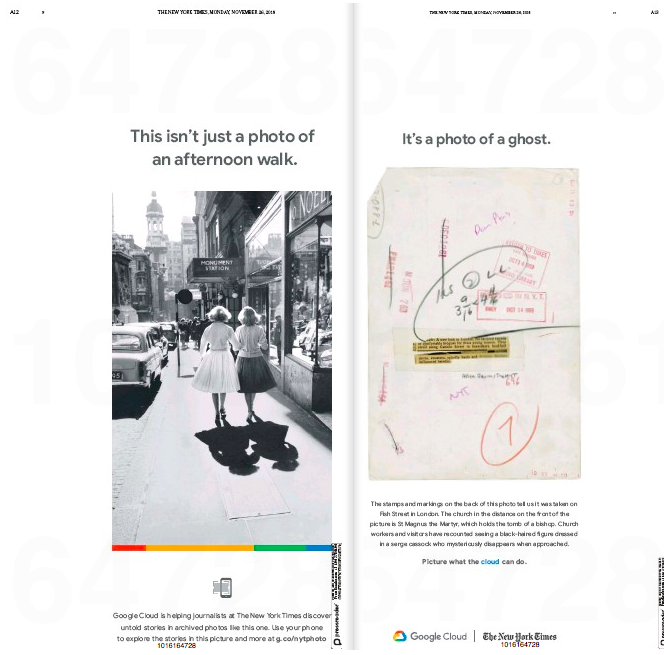 This entry was posted in Uncategorized and tagged Google Cloud, New York Times, Past Tense, Past Tense California, Sneak ADtack, State of the Cuisinart Marketing, Walter Mosley. Bookmark the permalink.